Women feature filmmakers were fairly abundant at the start of motion pictures but by the time the sound era took off in the early 1930s they were pushed out of the male-centric industry’s directing ranks, save for Dorothy Arzner and Ida Lupino, and really didn’t return again, except for underground or art house filmmakers like Shirley Clark and Barbara Loden, until well into the 1970s. Elaine May made a big dent in the boys only network with her early 1970s films The Heartbreak Kid and A New Leaf. Joan Micklin Silver followed with her own breakthrough, courtesy her 1975 feature debut, Hester Street, whose unexpected success helped open doors to more women filmmakers the remainder of that decade and especially in the 1980s. Silver and Hester Street are of particular interest to me because she is a fellow Omaha native and her film stands as a landmark screen portrayal of the immigrant experience in early 20th century America alongside Elia Kazan‘s America, America and Francis Ford Coppola’s The Godfather II. As the following story details, the film overcame all odds in just getting made and released and then defied all expectations by becoming a darling of critics and audiences, earning a then-astounding box office take for a small indie film – $5 million, plus a Best Actress Oscar nomination for star Carol Kane. I have been following Silver for many years – you’ll find some of my other stories about her on this blog – and I recently had the pleasure of interviewing her again in the aftermath of Hester Street being included in the National Film Registry. 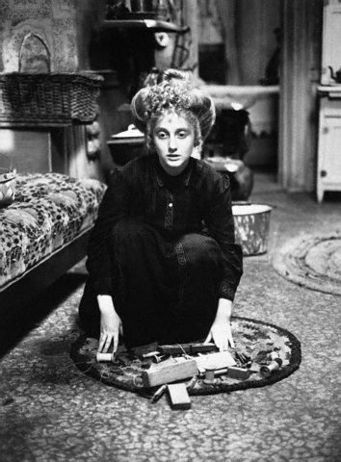 I also interviewed Hester Street star Carol Kane, though I won’t have a chance to post anything from my conversation with her until a later date. Silver, by the way, is one of the most underrrated filmmakers of her or any time. Her body of work in the 1970s and ’80s, though quite small, can stand with nearly any director’s. I highly recommend Hester Street, the rarely screened Between the Lines and Chilly Scenes of Winter (also known as Head Over Heels), Loverboy, and Crossing Delancey, which for my tastes is one of the best romantic comedies ever made. The grapevine tells me Silver may be coming back to Omaha (a rare occurrence) for a Film Streams program that Alexander Payne is arranging. After years of interviewing her by phone and writing about her, I hope to finally meet her. Stay tuned. Long before Kathryn Bigelow struck a blow for women filmmakers by capturing the Best Director Oscar, Omaha native Joan Micklin Silver made her own Hollywood inroads as a feminist cinema pioneer. With her 1975 directorial debut Hester Street she joined a mere handful of women directors then. Just completing the film and getting it released was a major feat. The low budget, black-and-white independent told a period Jewish immigrant story partly in Yiddish with English subtitles. “With great effort we made the film,” says Silver. Her script adapted the Abraham Cahan novel Yekl: A Tale of the New York Ghetto. As the eldest daughter of Russian Jewish immigrant parents, the story held deep reverberations for Silver, who says she gloried in her father’s tales “of what it was like in Russia and what it was like coming over and his first banana.” Hester Street allowed her to commemorate on screen the immigrant experience she sprang from. “I cared a lot about the ties I had to that world,” she once told a reporter. That the film became a sensation was a small miracle. The honor took Silver by surprise. “I was really pleased, I had no expectation, and I was delighted to be on the same list with a John Ford movie (The Iron Horse) and a Charlie Chaplain movie (The Kid). It’s pretty exciting,” the longtime Manhattan resident says. The recognition is doubly satisfying given the difficulty of getting the movie made and released. She recalls one Hollywood executive who rejected the project suggested she change the story to Italians. When no studio would finance the story of early 20th century Eastern Jewish immigrants, her husband Ray Silver, who worked in real estate, raised the $350,000 to do it. He also produced the picture and made sure it got seen. “Certainly he’s the hero of my story,” she says. She’s forever grateful to her collaborators. Silver first saw Kane in the Canadian drama Wedding in White and thought her perfect for Gitl, a naive new immigrant wife-mother whose painful assimilation leads to her emancipation. As Silver assumed Kane lived across the border she despaired her meager budget could not afford putting her up for the shoot until learning the actress resided in NYC. The two felt a connection as Kane came from a Jewish immigrant family not unlike Silver’s and grew up in Cleveland, where Silver once lived. The filmmaker recalls Kane as “a very conscientious, serious, careful, lovely young woman” who went home to rehearse in the sheitel and period jewelry provided for the part. After all the hard work to finance the film, meticulous research to ensure authenticity and stress to complete the project on time, no studio wanted to distribute it. Silver was heartbroken. On the advice of maverick filmmaker John Cassavetes, the couple distributed it themselves through their own Midwest Films company. And then a remarkable thing happened. Ray entered the film in the Cannes Film Festival and it was accepted. More prestigious festival showings followed. As the film proved a critical and popular darling more theaters screened it. Hester Street became a surprise hit, earning $5 million at the box office and gaining enough industry notice for Kane to be Oscar-nominated, both unheard of accomplishments for an indie pic then. Silver had the thrill of informing the actress she’d been nominated. The project established Silver’s reputation as a bankable director. Her subsequent theatrical films include Between the Lines and Chilly Scenes of Winter. Perhaps her crowning achievement was Crossing Delancey, when she revisited Lower East Side Jewish culture in a modern love story poised between Old and New World values. She later directed many made-for-television movies (Hunger Point). Her dream of a Hollywood breakthrough was partly realized when her story about the wives of American POWs, Limbo, was optioned and she worked under veteran studio director Mark Robson adapting it to the screen. “In the end I was replaced as the writer (sharing screenplay credit with James Bridges) on the film. Not knowing very much, I disagreed with the director in meetings and he said, ‘Thank you very much,’ and replaced me, which is the privilege of the director. For Silver, who never formally studied filmmaking, it was her film school. Confident in her abilities, she vowed her work would never be compromised again. In a sense Silver prepped all her life to make Hester Street. The stories she absorbed from her father previously led her to make The Immigrant Experience for the Learning Corporation of America. For her first feature she again fixed on subject matter close to her heart. Silver’s interest in immigrant tales continues with her in-progress documentary The Bagel: An Immigrant’s Story. She has a feature script in development. Meanwhile, she’s struck up a friendship with fellow Omaha native filmmaker Alexander Payne. The two are discussing a possible Film Streams program with her and her work.